TPD coverage commonly provides financial benefits to those who are no longer able to work in their usual occupation or any other occupation they are reasonably suited to due to mental or physical disability or ill health. For those who are very seriously injured, or who were not working at the time of disability, other definitions can also be relevant. In these cases a definition is usually based around not being able to perform personal care or the activities of daily living such as feeding, walking, dressing and showering. 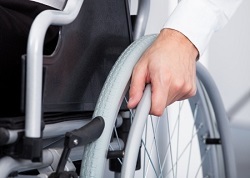 Can I claim for Total & Permanent Disability (TPD), Accident and Trauma? To qualify for TPD benefits, you will need to show that your injury or illness has stopped you working, and that you are unable to continue working in your usual job and any other occupation that fits your skills, training or education. Unlike other injury related claims, when you are claiming for TPD you do not need to prove that the injury or illness was caused by someone else or that it is work related. For example, if you are suffering from cancer or an organic mental health condition such as bipolar and are unable to work, you will still receive benefits. You just need to show that the injury or illness is significant and has affected your ability to earn an income, or has seriously impeded your ability to engage in your daily activities. Providing you meet the relevant criteria, you will be eligible to receive your insurance benefits in addition to gaining early access to your Superannuation. These benefits may come as either a lump-sum or regular payments. In terms of the amount that may be recovered, this will depend on the type of insurance cover you have and how much you are insured for. This information is usually included in the fine print of your policy or statements. These benefits are commonly available in addition to Centrelink payments, workers (or other similar) compensation you may have received for the injury or illness. A claim must be supported by medical evidence confirming you meet the criteria for TPD. Doctors will need to be thoroughly briefed about the definition involved and how the definition ought to be interpreted. Medical matters are, however, just one part of proving TPD. All aspects of your education, training and experience need to be explored and evidence provided as to why you are not suitable for any past jobs you have performed or any other jobs that might be considered suitable. While you may be medically capable of working in an office based job, do you have the aptitude, skills and experience necessary to get a job that is suitable to you? Is there employment available where you live? What other barriers are there to you gaining employment? The ability to get a job is one thing but maintaining that employment on an ongoing basis may be more challenging because of the injury or illness. If you could potentially get other employment but not maintain it, then you may still be able to claim TPD. If you have gone back to work in a special job designed to accommodate your injuries, but which would not be available to anyone else applying off the street, then you may still be eligible for TPD. Insurance companies generally do not manage TPD claims well and the process can be confusing and complicated. If an insurer fails to act in good faith or fails to act fairly and reasonably in processing your claim, you have rights that are enforceable under the insurance policy. If your correct entitlements are not paid or not paid soon enough, you can issue court proceedings to enforce your entitlements. A court can also rule on disputes that arise while a claim is being processed. Some Insurance and Superannuation policies may entitle you to a lump sum payment if you suffer a particular injury or develop a particular illness. These injuries and illnesses will be defined in the relevant policy, however they are often difficult to understand. Free of charge, our TPD lawyers will find out if you are covered and advise you on the best course of action. We can even provide you with a free over-the-phone consultation, just call us on 13 43 63. Our QLD offices are in Brisbane, North Lakes, Logan, Ipswich, Toowoomba, Gold Coast, Sunshine Coast and Cairns.